The Next Wave Cities initiative is part of the program called DigitalPH composed of three other flagship initiatives; seedPH, Stepping Up the Value Chain and Rural Impact Sourcing (RIS). This program focuses on the creation and development of ICT hubs that shall serve as IT-BPO investment destinations outside Metro Manila, thereby creating economic opportunities in the countryside. Some of the projects of the Group under this initiative are IT-BPM roadshows, capability development and strategic workshops, and industry researches. Such roadshows have already been conducted since 2014 in Bataan and San Fernando, Pampanga. 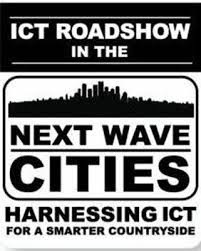 For 2015 there the IT-BPM roadshow at San Fernando City, La Union and the 1st National Capability Development Summit for ICT Councils in Cebu City.